Sri Kapileswara Residency features accommodation in Tirupati. 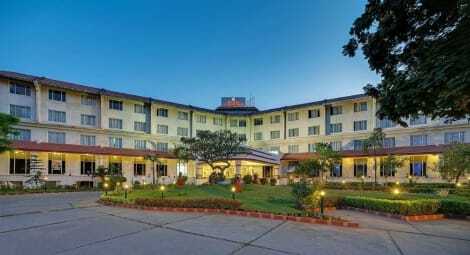 Featuring a terrace, the hotel is close to several noted attractions, around 500 metres from Sri Kapileswara Swamy Temple and around 1.2 km from ISKCON Temple. The tour desk can help arrange some activities and free WiFi is available. At the hotel, the rooms have a desk. Sri Kapileswara Residency offers some units with mountain views, and all rooms come with a private bathroom. Staff at the accommodation are always available to provide guidance at the reception. APSRTC Central Bus Station is 3.8 km from Sri Kapileswara Residency. The nearest airport is Tirupati Airport, 18 km from the property. KVP Residency provides basic rooms with a private bathroom and is 5 km from Tirupati City Railway Station and 500 metres from the bus station. It offers free private parking and free Wi-Fi in its public areas. Choose from an air-conditioned or fan-cooled room at kvpresidency. Each room is equipped with a flat-screen cable TV and private bathroom with shower. Guests can enjoy the convenience of a 24-hour front desk with safety deposit lockers. The hotel also provides travel assistance and room service for guests. 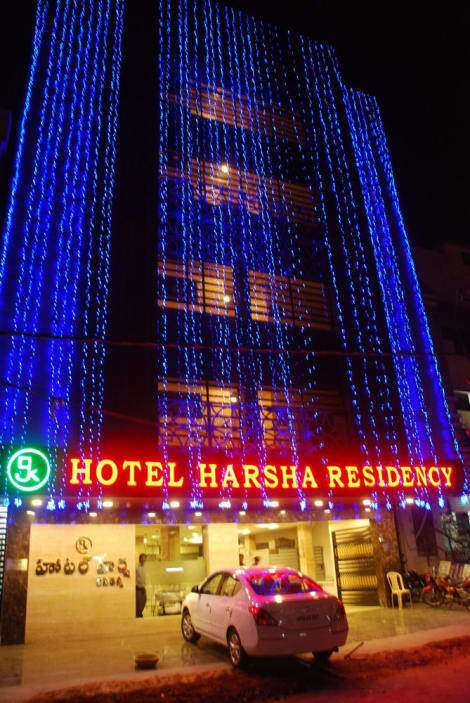 Located opposite Sunil Krishna Hotel, the hotel is 20 km from Tirupati Domestic Airport. Located just 3.6 km the Padmavati Ammavari Temple, KVP Inn is situated in Tirupati. Free WiFi access is available. Each room here will provide you with a TV, a minibar and a seating area. There is also a refrigerator. Featuring a shower, private bathroom also comes with free toiletries. Extras include cable channels. At KVP Inn you will find a 24-hour front desk. Other facilities offered at the property include a ticket service and luggage storage. The property offers free parking. 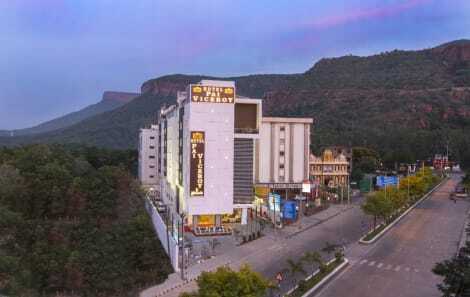 The hotel is 24 km from the Sri Venkateswara Swamy Temple. The Tirupati Central Bus Station is 850 metres away, Tirupati West Railway Station is 4.5 km while the Tirupati Airport is 14.8 km away. Make yourself at home in one of the 30 guestrooms. Cable television is provided for your entertainment. Private bathrooms with showers feature complimentary toiletries and hair dryers. Conveniences include phones, as well as desks and complimentary newspapers. Don't miss out on recreational opportunities including a health club and an outdoor pool. Additional features at this hotel include complimentary wireless Internet access, concierge services, and gift shops/newsstands. With a stay at Kalyan Residency in Tirupati, you'll be within a 15-minute drive of Sri Venkateswara Museum and Govindaraja Swami Temple. This hotel is 15.5 mi (24.9 km) from Venkateshvara Temple and 1.9 mi (3.1 km) from ISKCON Tirupati. lastminute.com has a fantastic range of hotels in Tirupati, with everything from cheap hotels to luxurious five star accommodation available. We like to live up to our last minute name so remember you can book any one of our excellent Tirupati hotels up until midnight and stay the same night.